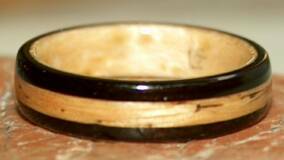 Grenadilla (African Blackwood) is a super durable and solid black wood for rings. Our blackwood was sent to us as (precious) scrap wood from a clarinet maker. 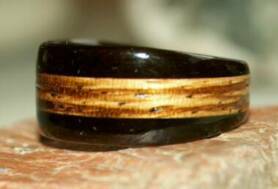 B3 ~ Black wood ring lined with greyed maple. 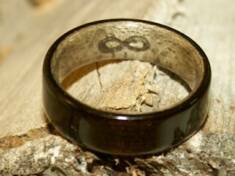 Infinity inscription. 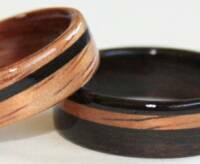 B4 ~ Blackwood and mid toned Koa wood rings ~ reversed design.